When people think of a hot stone massage, they often conclude that it is a gimmick that doesn’t provide any real relief. This couldn’t be further from the truth and at Asia BC Spa we are pleased that this perception has now changed. For us, hot stone massages have been one of our most reliable massage offerings and it is a technique that has grown in popularity among our many clients in recent years. The benefits of this unique massage type are broad-ranging. So if you are curious about what a hot stone massage entails or if you are eager to try it out again then contact us today. Our dedicated team of massage therapists will talk you through everything you need and make you aware of any other spa options that we are offering. What Makes a Hot Stone Massage Unique? Hot stone massage involves using smooth heated stones, usually made of basalt so as to retain heat, to massage deep into your muscles in a quick and effective manner. At Asia BC Spa our skilled hot stone massage therapists will generally alternate between placing the hot stones on your body and keeping them in their palms when doing the massage. This mixed approach ensures that your sore, tense muscles receive the sufficient level of attention. The heat and weight of the stones act as a penetrating force to reach deep into your muscles core and act as a relaxant, meaning that relief can be achieved quickly. What make the hot stone massage unique is simple: the stones themselves. 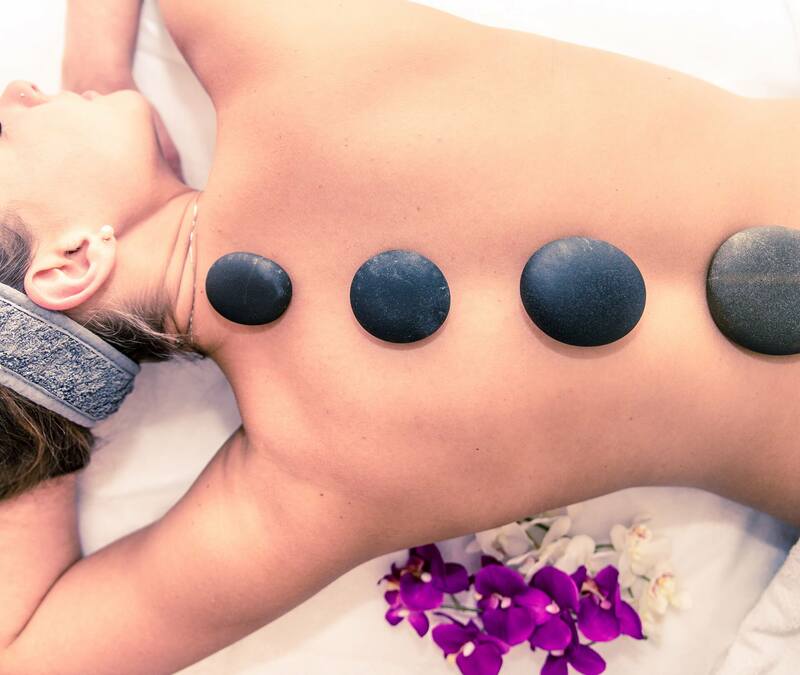 The smooth river rock stones are heated to an appropriate level by our skilled massage therapists and are then placed in optimal locations on your body. In general, our massage therapists like to place the stones either side of your spinal cord as well as between your toes and on your calf muscles. However, depending on the type of muscle pain that you are experiencing, they will locate them accordingly. If you are feeling tense, nervous or worried on a regular basis then it is possible you are suffering from some type of anxiety. A hot stone massage could curb this sense of anxiousness quickly. The soothing and relaxing nature of this treatment means that it gets to work right away. Being unable to sleep can be extremely frustrating. If you have tried to tackle the symptoms of insomnia with other treatments but to no avail then you should consider hot stone massage. Given the contrasting seasons that we experience, hot stone massage can be very useful. The warm penetrating nature of this type of massage is perfect for those who can never seem to warm up during a chilly winter day.